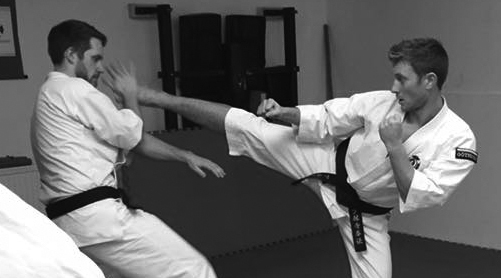 Shorinji Kempo offers a varied and many-sided training that can be practiced by everybody. We practice together in the same group and help eachother to improve both mentally and physically through constant interaction. 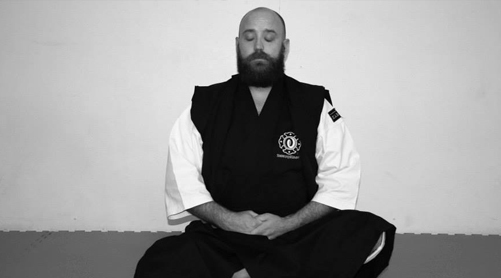 During the class, you will practice being calm under stress, elaborate strategies against different types of opponents and find your favorite techniques. We exercise your ability to concentrate and focus. 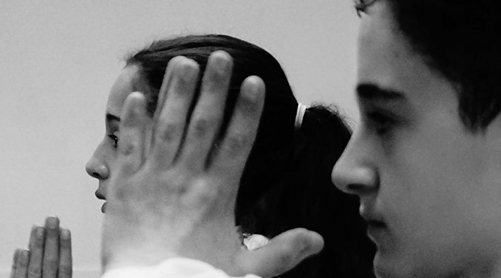 We help you to formulate individual goals each semester: technical, mental and physical. Each practice is designed to develop you both physically and mentally. 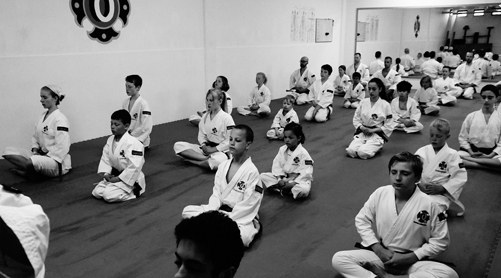 A typical class begin with meditation, continues with warm-up, training the basics, techniques, sparring and concludes with intensive interval training and acupressure techniques. Our fouder So Doshin had a vision of developing a strong and righteous people who would grow up to be mentally and physically strong and righteous citizens. To thus create a better society. Gothenburg branch was founded, 1991. 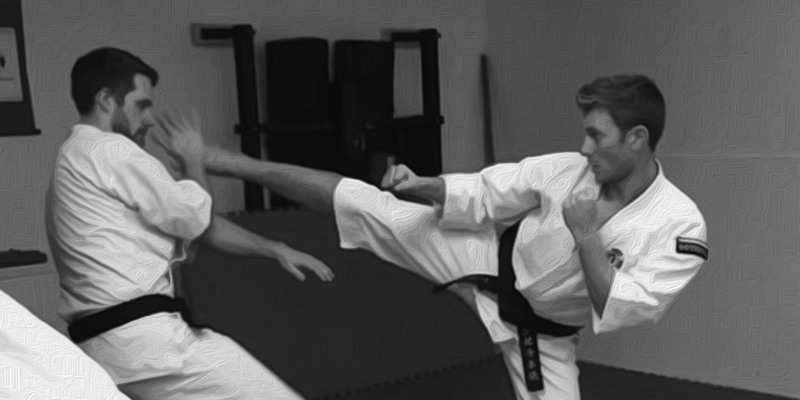 Can anyone practice Shorinji Kempo? Yes, everyone can start from their own physical conditions. 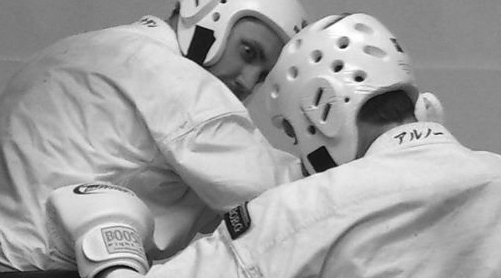 It suits boys as well as girls, regardless of age or previous experience in martial arts. Can you start practicing at any time during the year? Yes. 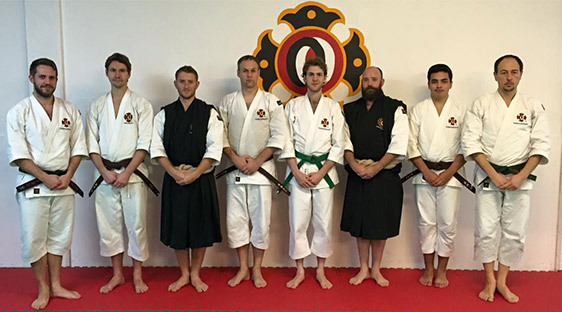 At the beginning of each semester, we have a few sessions that are customized to show all aspects of Shorinji Kempo. However, you can just as well start in the middle of the semester. Just sign up! I'm in bad physical shape, how tough is it? but it is up to each one to find a moderate level. It is possible to work out in the regular clothes like a t-shirt and shorts (preferably without zippers), one can buy a Dogi (white training suit) when you have been training for a while. We usually have Dogi in children’s sizes in stock and helps with purchasing Dogi to those who need . We practice barefoot and use no jewelry or watches during training to avoid injuries. Is there a special training group for beginners? 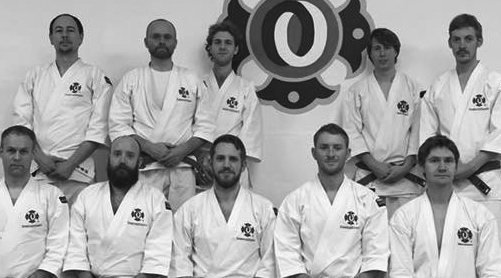 No, one of the major benefits of Shorinji Kempo is that all practice together. This benefits both beginners and those who have practiced longer; when those that teach is forced to reflect on their own technique. 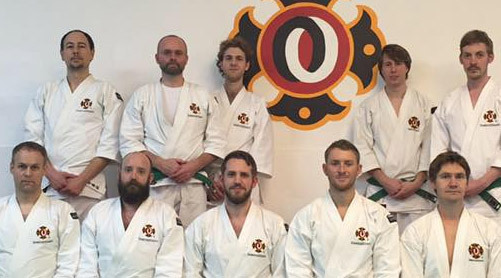 Some parts of the training, however, is divided into groups where all get to practice the techniques for their own level. No, not to begin with. It is good enough to train in a regular shirt and a pair of tracksuit pants or shorts. When you have practiced a while, you may want to purchase a Dogi and get some personal protection, such as gloves, gum shield and jockstrap . Ask the instructor for help when you feel you want to buy stuff. 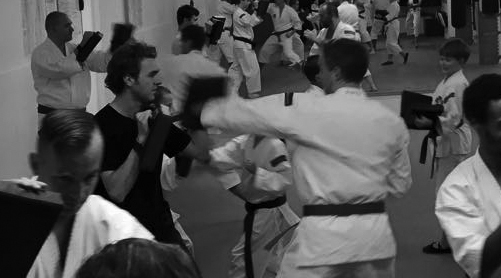 For adults , we have instructor-led training twice a week and one open training. The children practice once a week. One need not to attend every training, the main thing is that you exercise regularly. The more you practice , the more progress you can see in your training , both physically and technically.